Japanese food specialty shops get me excited. They do. These small eateries do one thing, and usually execute them well. 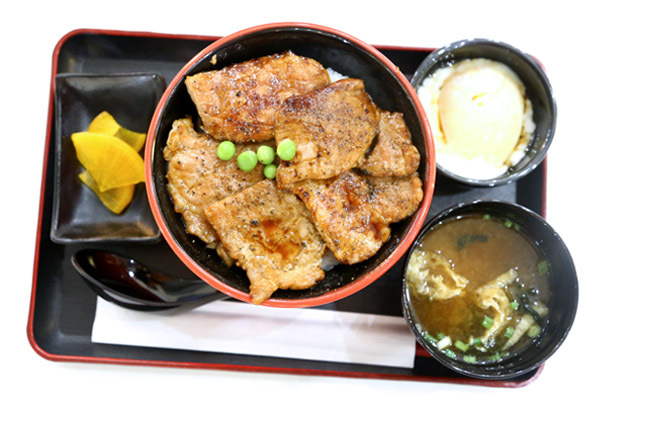 The very thought of Butahage’s best-selected tender and juicy grilled pork from Hokkaido Tokachi with a secret sauce of over 80 years of history already sounds mouth-watering. Since 1934. 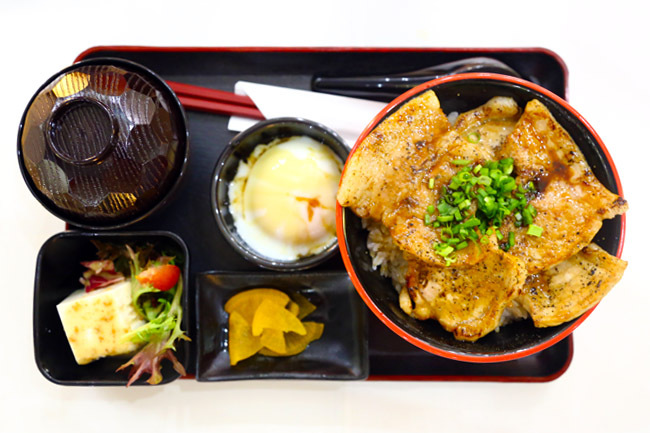 Butahage should be the first and only Butadon (pork rice) restaurant in Singapore, originating from Tokachi Obihiro in Hokkaido. The early settlers there believed that pigs are for consumption (while cows are for milk) and Obhiro has become known for its pork dishes. 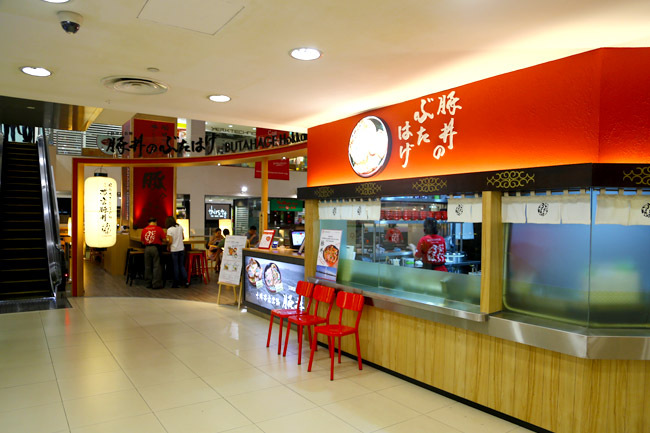 Due to the strong Japanese community frequenting Liang Court, most of the Japanese food offered there are of reasonable standard. Located on the 2nd level, Butahage has a simple menu, offering the standard Butadon ($13.80), ‘Premier’ Butdadon Set ($22.80) and sets of Hokkaido Crab Cream Croquette($6.50) and Imomochi Cheese ($6.50). 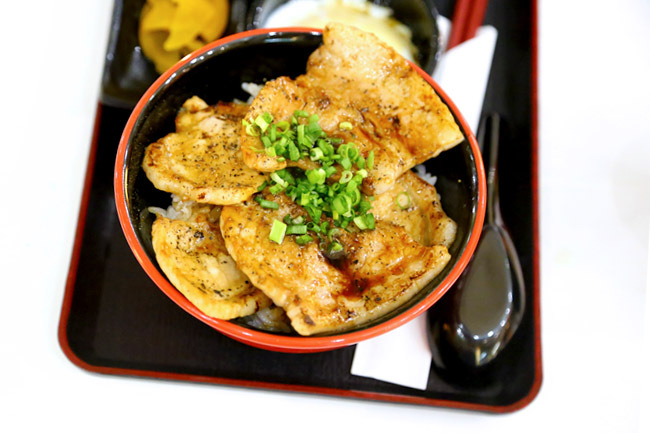 The Butadon was a bowl of deliciousness – 850℃ grilled USDA pork, Yumepirica ‘beautiful dream’ rice which is slightly more sweet and sticky than the typical Japanese rice, and a secret recipe Tare sauce imported from Hokkaido. 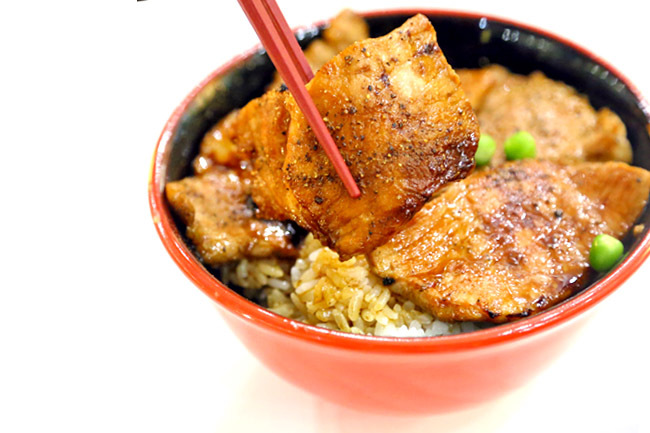 The pork slices were lean yet tender enough, each covered in an addictive savoury sweetish sauce. My wish: They could provide more of that very yummy sauce as the rice got kind of dry after half a bowl. 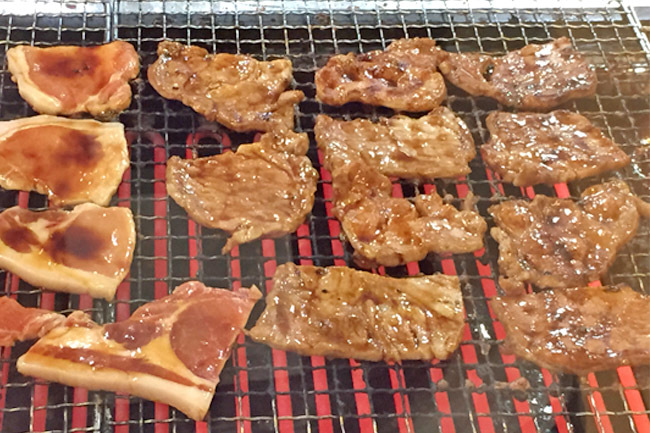 For comparison, I ordered the ‘Premier’ Butdadon Set ($22.80) where the pork is from Kagoshima. The slices were fattier, though slightly less marinated and flavourful. My guess is the restaurant wanted customers to appreciate the meat on its own. Personally, I preferred the premium bowl just a notch better, and would be fine with the standard offering if I come back again. And I am quite sure I will again, and again. Hey Dan, have been following your blog for sometime and nice review. Of late, the ads on your blogs have started to veer towards intrusive and now, the flash ad forcing Manulife down our throats for 5 full seconds was the limit. I get that you need revenue from ads to keep this going but scale it down a notch. Hi Ben, thank you for the feedback. I have already sent a mail to the ad agency to do something about it. Much appreciated.